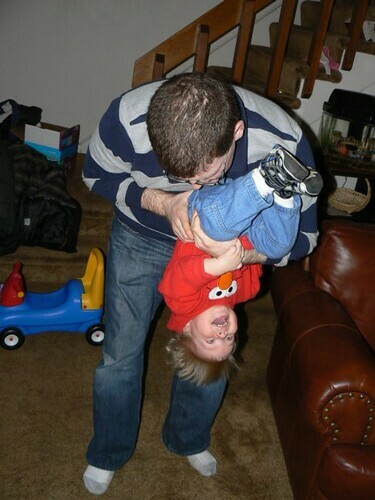 What is it with Daddys and flips? My girls love this kind of play with dad. Thanks for sharing. Swing by my site to see my photos too! It is so funny – your husband is looking around in the pictures like he is looking for his next “victim.” Too cute. Oh! The art of daddy time! They do it so well, don’t they?? Looks like so much fun for the kiddos!! Daddy’s are good for that! 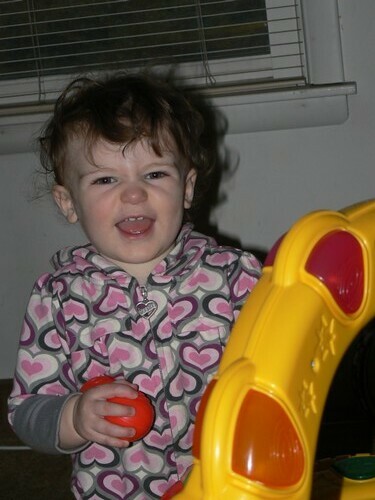 I love the last one and her scrunched up nose!!! 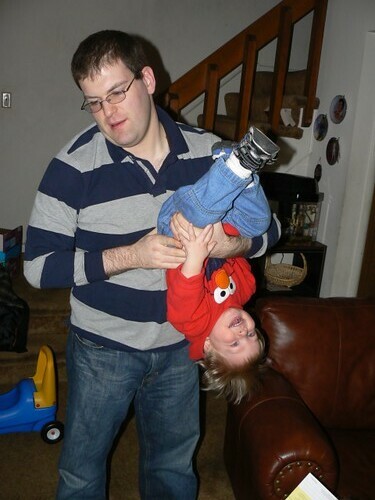 Love Daddies and their kids…now who is having more fun? It just might be Daddy! Upside down is the most funnest, isn’t it? Check out my WW, and please take a look at my Fame giveaway while you’re visiting. Thanks. 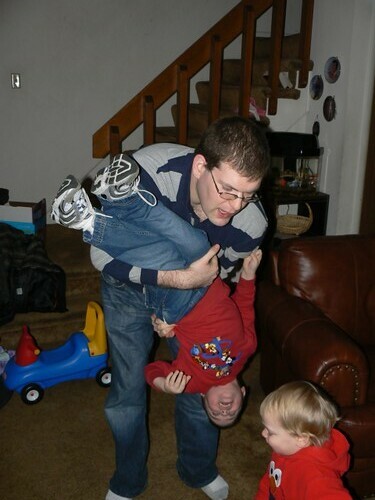 Dads are so good at the circus stuff. Daddys love to put their babies upside down. And the kids love it. 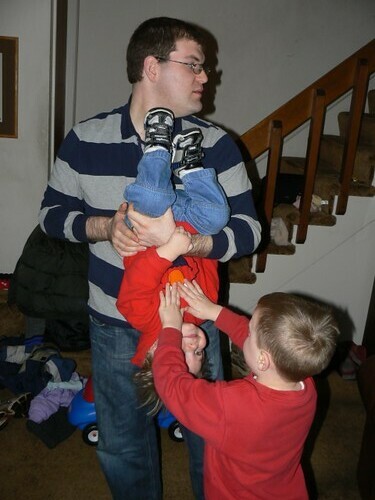 :) Both of my kids think it is hysterical when Hubby turns them upside down. That looks like fun! I can almost hear them saying, “Again, Daddy! Again!” lol! Looks like a lot of fun. I think my husband has done that a few times with our kids. Happy WW!